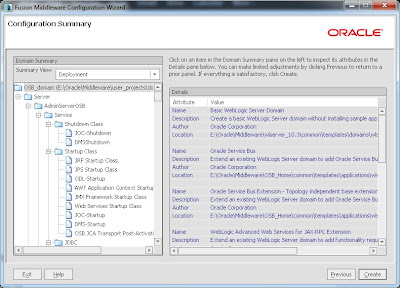 Here I am gonna discuss Domain Configuration for Oracle Service Bus 11g for windows PC. 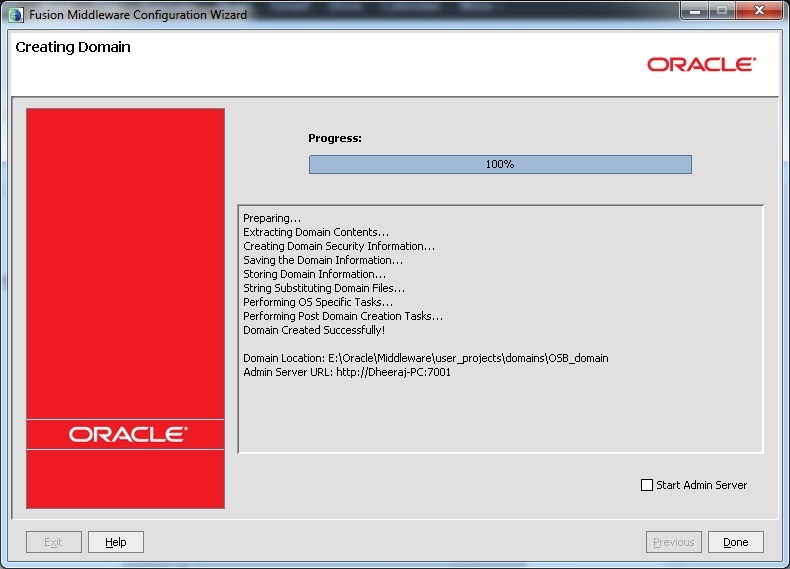 now we will be moving forward with Domain Configuration. 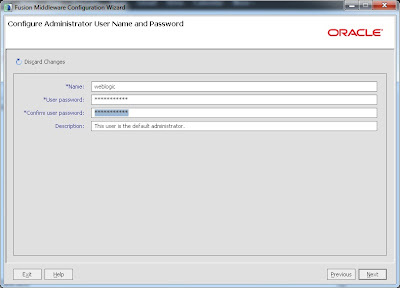 Inside the Bin Directory, you will find config.cmd file. 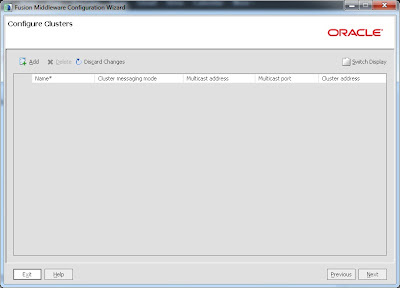 Open it either by Double clicking on or by using command Prompt. 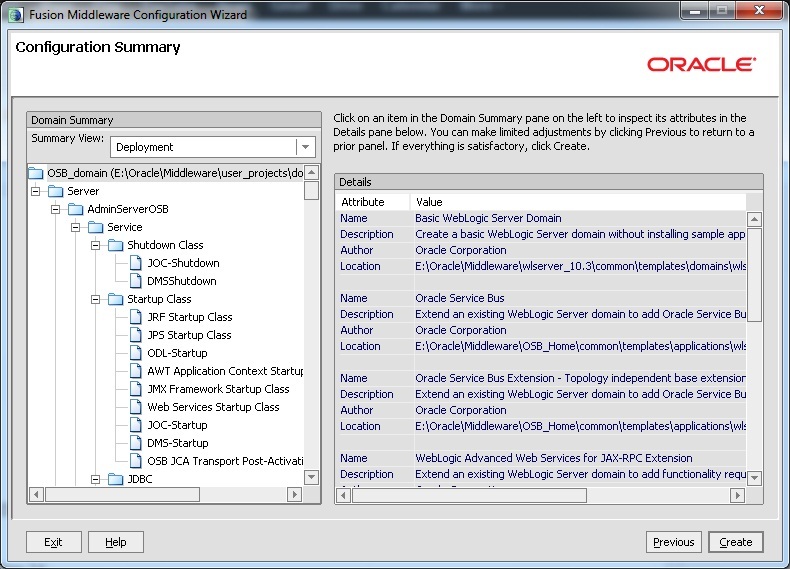 Choose Oracle service Bus , it will also select few other required products. You can also select other products as per your requirement. 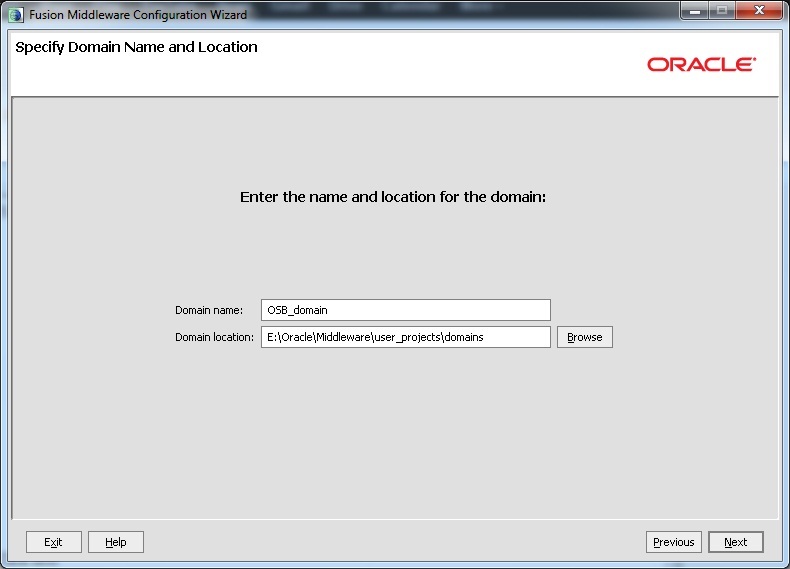 Provide name of Domain and Location of Domain Directory. 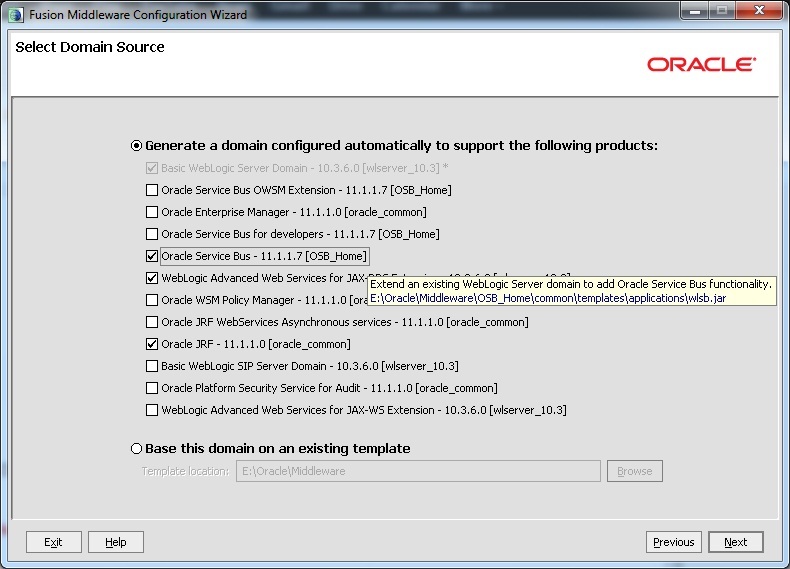 Oracle Recommend a separate Domain Directory from Fusion Middleware installation Directory. 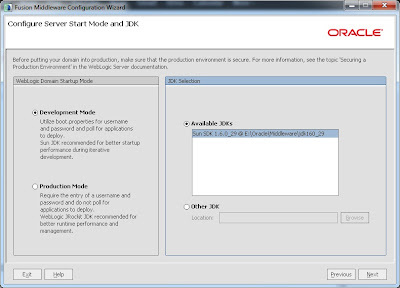 Choose your JDK version available. 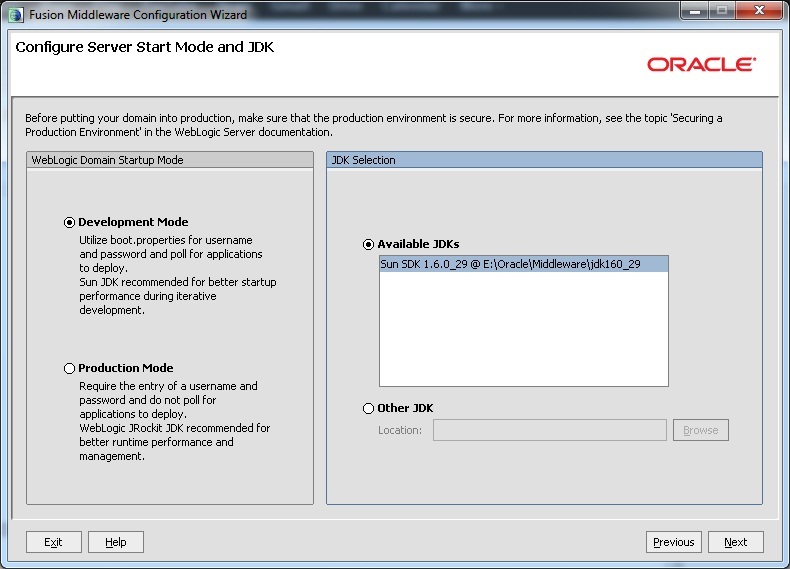 For production environment JRockit is reccomended. 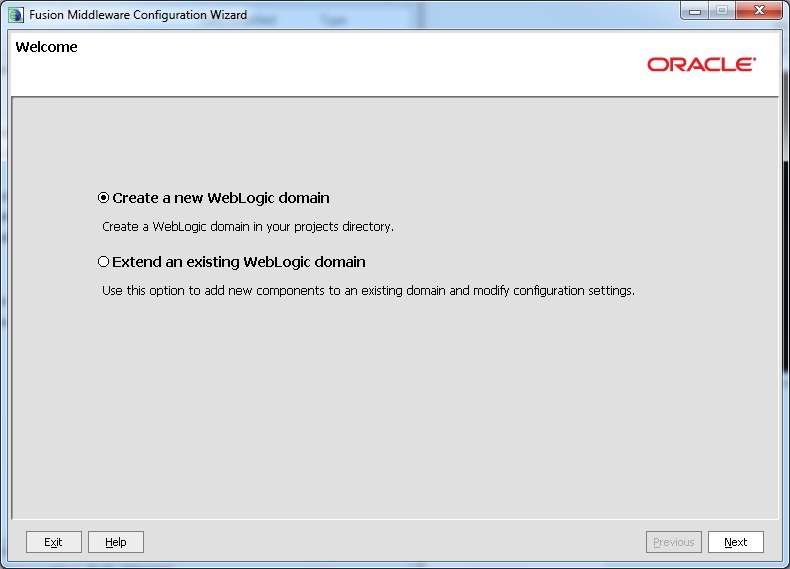 Select the "OSB JMS Reporting Provider "
It will choose default derby evaluation Database included with Weblogic. 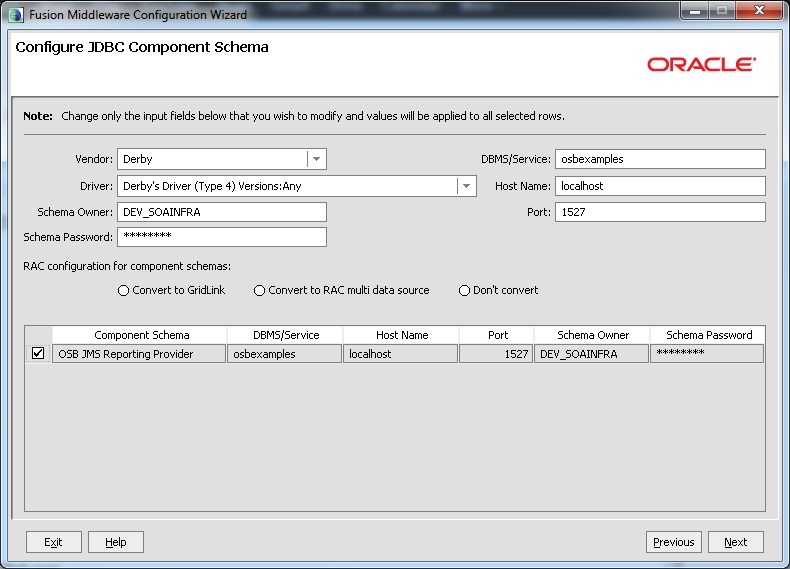 if you want your separate database, then you need to install any Oracle DB compatible database and create schemas using Repository Creation utility (RCU), and Provide those details here. 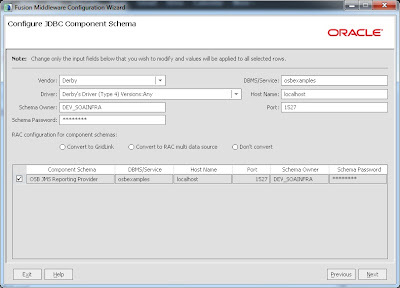 I will Discuss the steps for running RCU in separate Post. 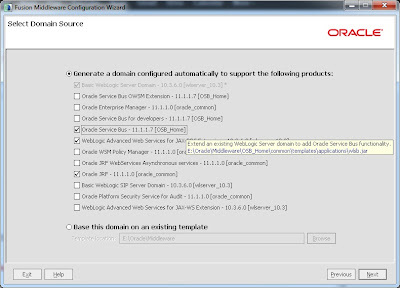 Configuration utility will verify Connection with Schema as provided in next screen and will show the status here. 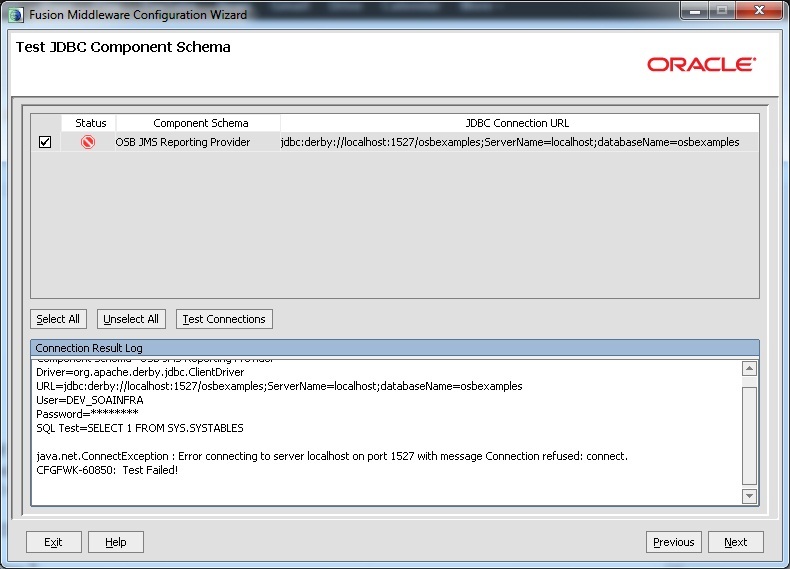 Since we have chosen Derby Evaulation DB and it is not running now, So the test result will be Failed. When we start the Admin server later it will automatically start the Derby DB. 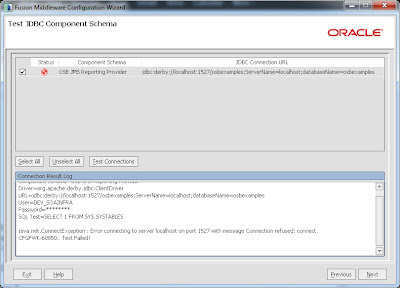 Click next, it will show you an error Popup, click Ok to byepass the test. 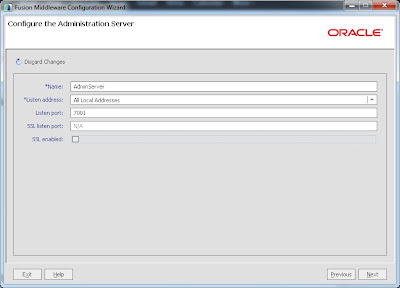 Now choose Adinistration Server and Managed server, in this screen. 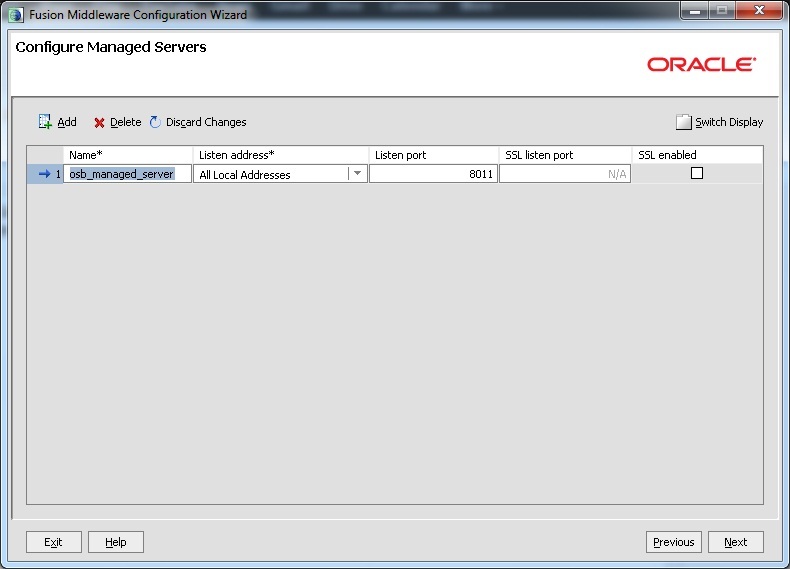 Give name to Admin server and Port no. 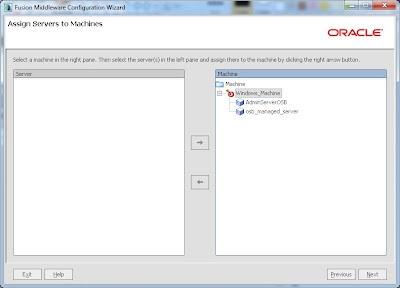 (Please check the port is not assigned to any other service in your PC). 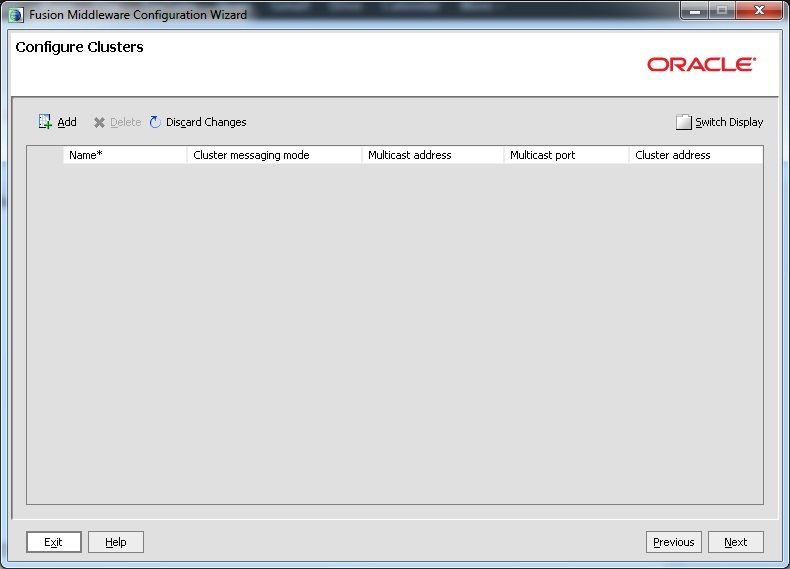 Since our installtion is on single physical machine, so we need not to configure cluster. 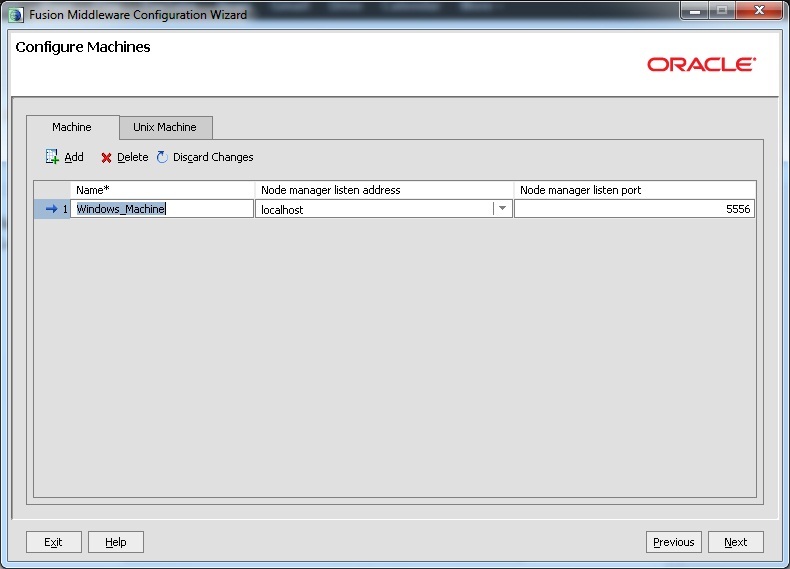 Provide details of machine eg name and address. 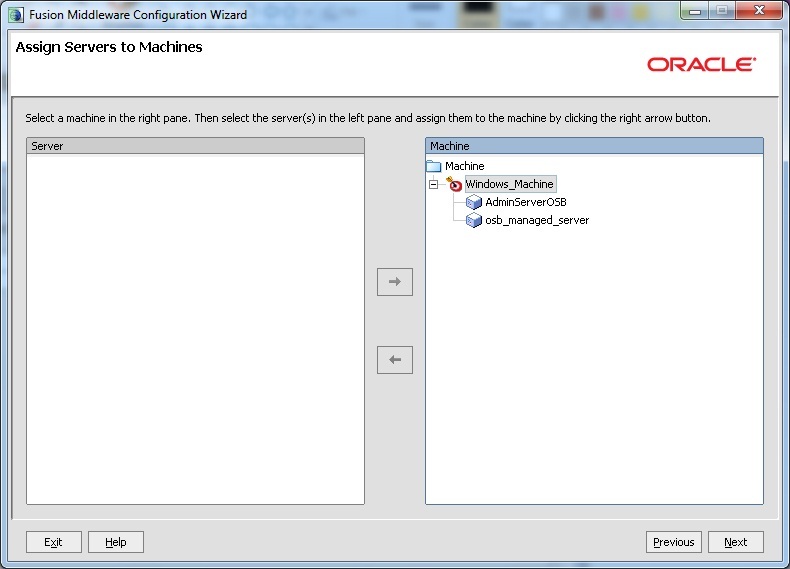 Assign servers to Machine by clicking arrow button available on centre column. 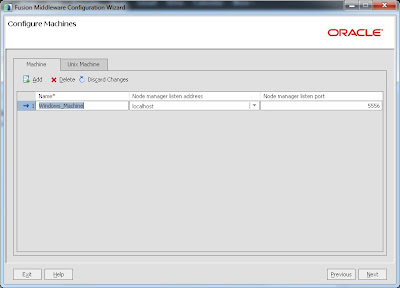 This will be used by NodeManager to start and stop servers remotedly. 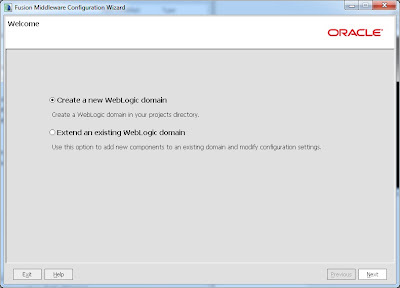 Verify the summary details for this new Domain. Then click Create. 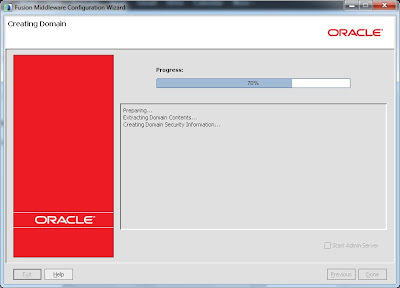 This will start domain configuration. 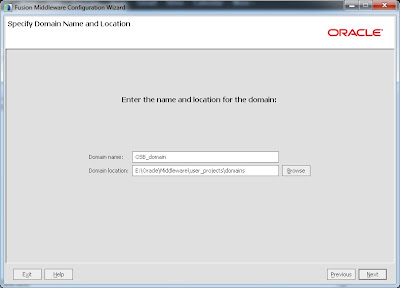 Make note of admin server URL and click Done. 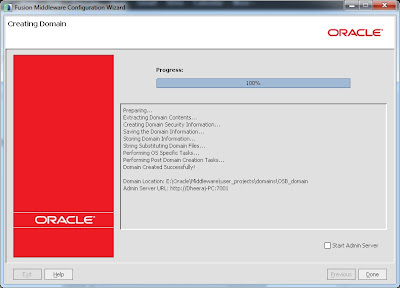 This will finish the Domain Configuration of OSB 11g. 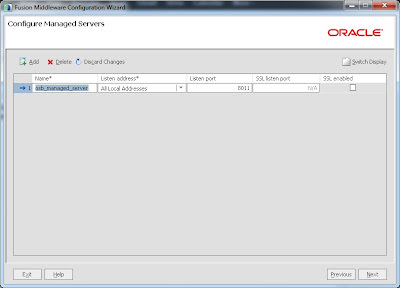 Now in order to start development, we need to start the Admin and managed server, which we have created here. 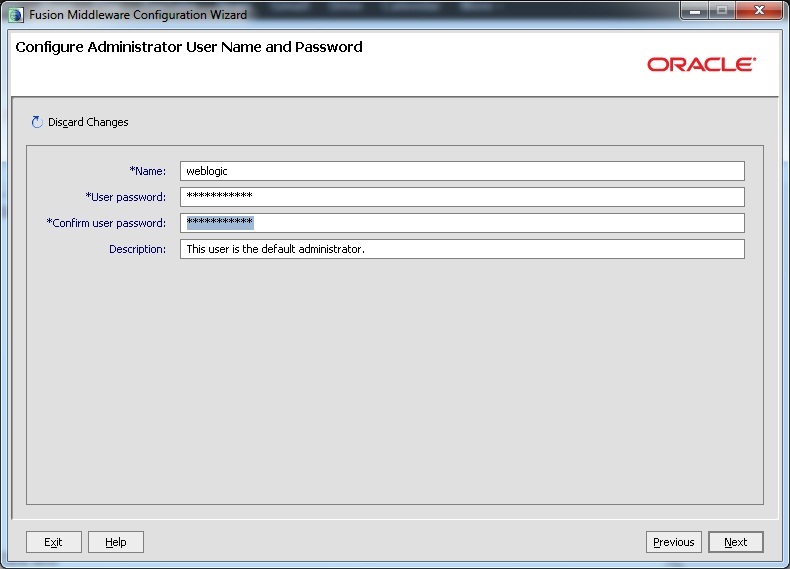 The process of starting and stopping Admin and Managed server, I will discuss in my next Post. Bluehost is ultimately one of the best web-hosting provider with plans for any hosting requirments.